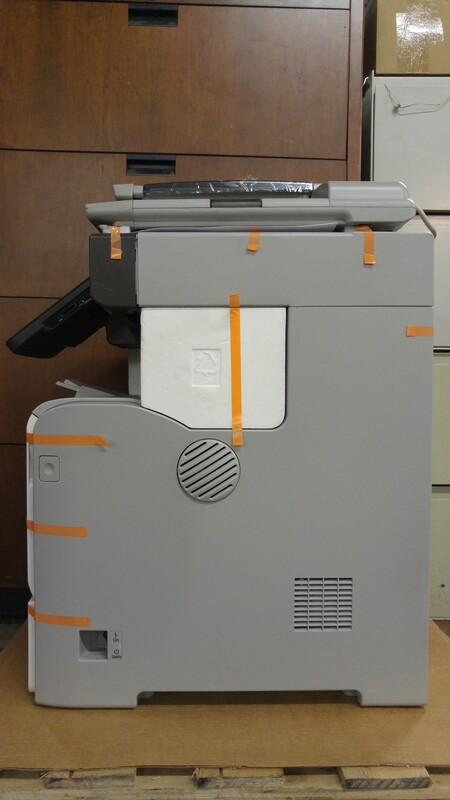 BRAND NEW WITH TONER INSTALLED. 90 DAYS WARRANTY. 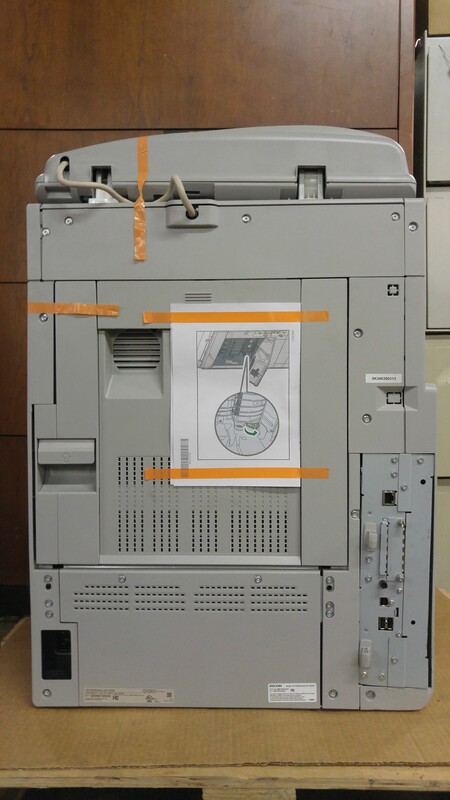 RICOH AFICIO SP 5200S 47PPM NETWORK LASER ALL IN ONE. 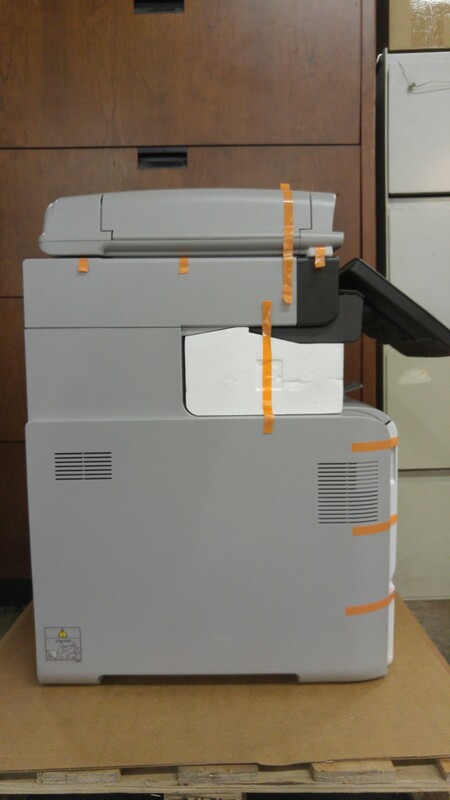 BRAND NEW NEVER USED MACHINE, STILL HAS ALL FACTORY TABS. 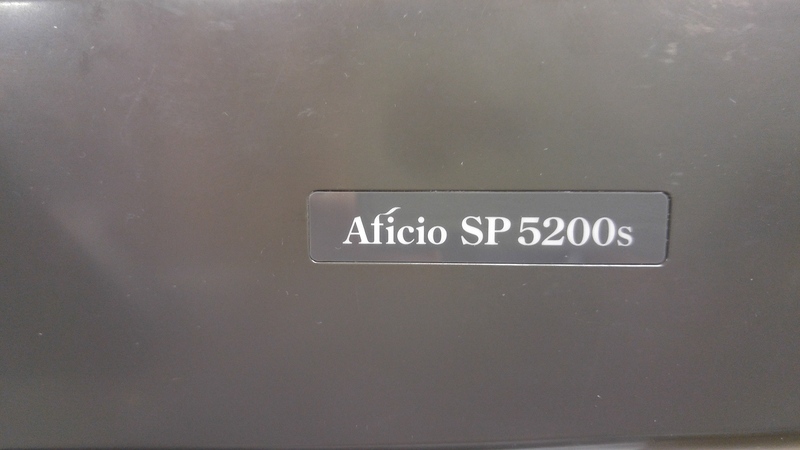 NEW TONER CARTRIDGE IS INSTALLED. 90 DAYS WARRANTY. 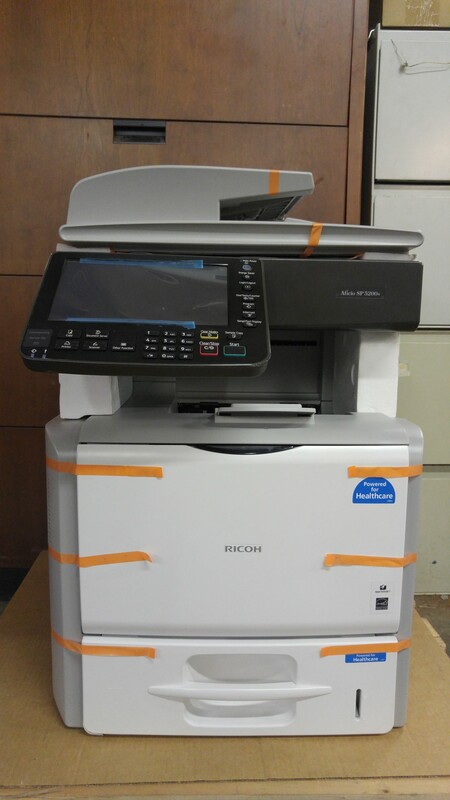 The Ricoh SP 5200S is a black and white multifunction printer. 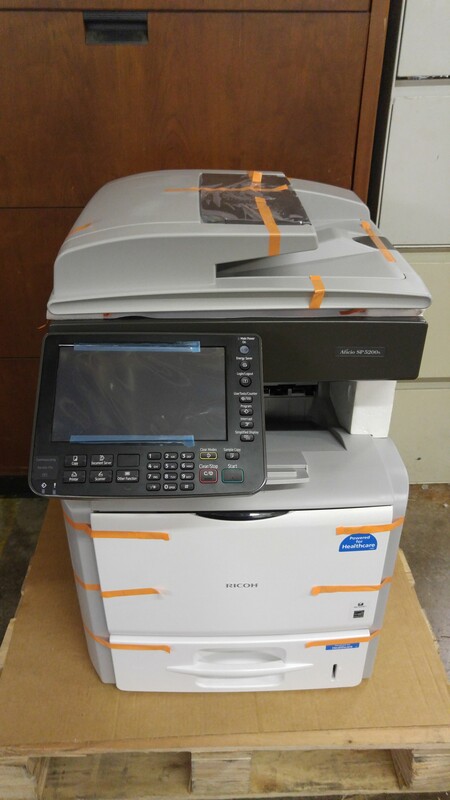 The Ricoh SP-5200S has excellent print speeds of up to 47 pages per minute. 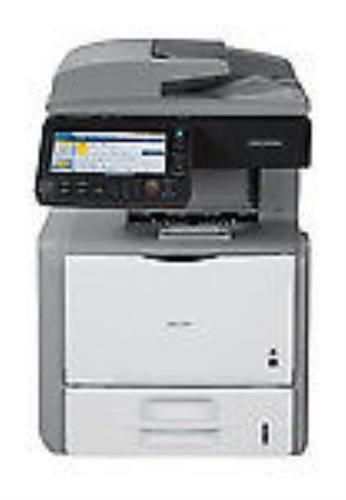 The Ricoh SP5200S Multifunction features automatic duplexing, paperless faxing, G3 faxing, internet fax, IP fax and LAN fax support.